christian holds a b.a. in theatre arts from point park university and an m.f.a. 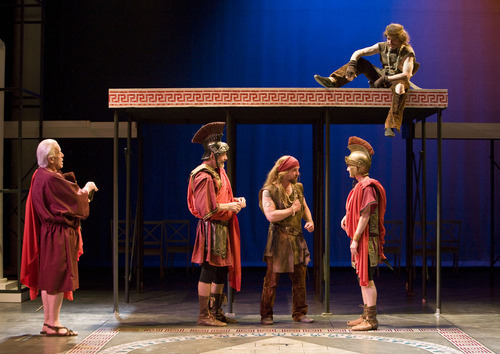 from alabama shakespeare festival/university of alabama. A MEMBER OF ACTORS EQUITY ASSOCIATION SINCE 1997, he has performed in dozens of productions, from off-broadway to regional tours. A few torturers are sitting around in the 1500s, talking shop. The wily veteran, Balto (Vinnie Penna), preaches the virtue of an iron contraption, while his assistant, Aldo (Travis York), wide-eyed and bursting with ideas, wants to try out a new hook, earning a chortle. “Old school,” Balto says, using some rather surprising 16th-century slang. Sitting quietly nearby is an Italian interrogator, Ippolito (a severe Christian Rummel), with some decidedly new-school ideas. He believes that the best way to get information is not to abuse people physically but to keep them awake by using the threat of a spike angled at the groin. Make them so desperate for sleep that they will betray themselves. The discussion about the art of torture in “The Vigil or the Guided Cradle” may be anachronistic and tonally wobbly (is the play supposed to be funny? ), but it has possibilities. 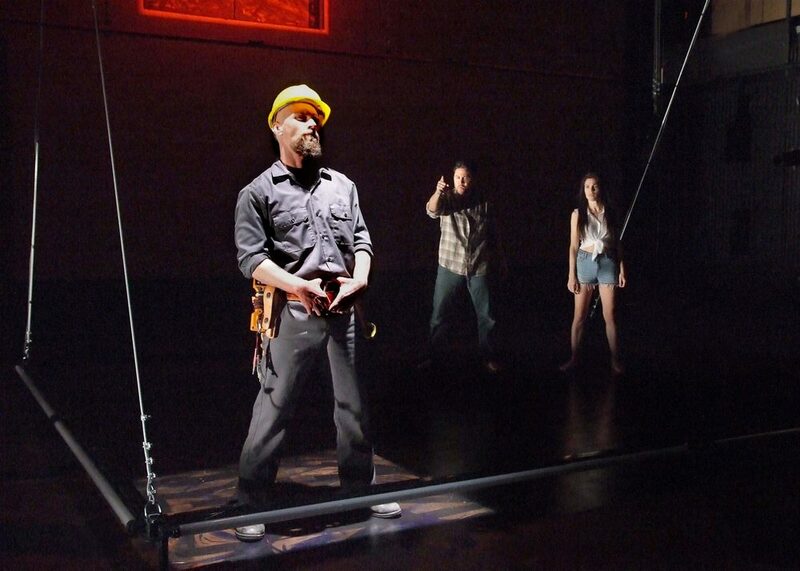 The morality and effectiveness of torture are topical subjects, and Crystal Skillman’s play takes great pains to connect present-day torture techniques with the barbaric methods of the 16th century by juxtaposing them. In this muddled drama’s other narrative, connected loosely, an American tourist in Prague (Susan Louise O’Connor), meets a translator (Dion Mucciacito, whose bearish figure proves effective here), whose intentions are unclear. Ms. O’Connor, a charismatic stalwart of the downtown scene, strains to imbue her role with quirk and vulnerability, but her effortful turn only draws attention to the thinness of her character. The two story lines take sudden and unearned twists, the kind of things that you find in Hollywood thrillers. Characters under attack pause for no reason. Cold-blooded types soften up abruptly. John Hurley’s sloppy production remains undercooked. Ms. Skillman presents a fertile subject and then just lets it sit there. There isn’t much to grapple with or debate, outside of the plausibility of the plot. In a way, the playwright has accomplished something impressive. It’s not easy to make a play about torture seem irrelevant. You May Call It a Daydream. She Just Calls It Her Life. This might be your first tip-off that this gentle drama about troubled siblings is not always to be trusted. Delivered mostly in speeches addressed directly to the audience, it will frustrate those looking for clear motivations and reliable characters, but even if the show could use a bit more shaping, it nicely captures something of the loneliness and childlike joy of letting your imagination wander. She shared the butler with her hotheaded brother, Toby (the bald, imposing Christian Rummel, who, like Ms. Staat with Lina, plays all incarnations of his character), who was sent away to a reform school. Toby reunites with Lina when she becomes pregnant at a summer arts camp. When he takes her money for an abortion, it’s revealed that his girlfriend is also pregnant. That is one of the many parallels in this jigsaw puzzle plot, which picks up a generation later when a teenager (Daniel Manley) claiming to be Toby’s child enters the picture. The director Paul Willis’s sparse production is dominated by one bold design idea. On the back wall of the set by Efren Delgadillo Jr. is a huge checkerboard of images that light up, “Hollywood Squares”-style, to highlight a plot point or key detail. It’s a cute but distracting visual conceit, turning your attention from the performances in a drama that requires the full attention of its audience. Like many plays composed largely of monologues, “One Thing” can be dramatically inert, and the character of Toby seems much more remote than that of his sister. But at its best, it feels like a deeply personal account of a young artist struggling with the double-sided nature of her own creativity. As kids, we all make up stories about ourselves, but Ms. Fox’s work is a reminder that many of us never really stop. If the personal ad says "incarcerated," don't answer it. Jerry, a protagonist of Frawley Becker's new play "Tiger by the Tail," knows this — he's a therapist, for goodness' sake — and yet he falls anyway and writes to Maynard in prison. In short, he does the expected thing, setting the tone for a capable but overlong play that traffics largely in what one might call nuanced stereotypes: the liberal California therapist on one end of the equation; the convict dealing with injustice in a Florida pen on the other. Mr. Becker, who has written a memoir of his work as a dialogue coach to Hollywood stars in Paris in the 1960's and who has more recently worked as a location manager on a number of major films, knows how to turn a tale. In a way, "Tiger," which opened on Monday night as part of the Wings Theater Company's Gay Plays series, feels more solid than it is. Its dramatic arc is fairly sound (though the play could stand to lose half an hour), carrying Jerry through the doubt and mounting excitement of his correspondence with someone who appears to be a diamond in the rough (the cliché is appropriate in the description of this particular piece), building to an effective coup de théâtre that concludes the first half. 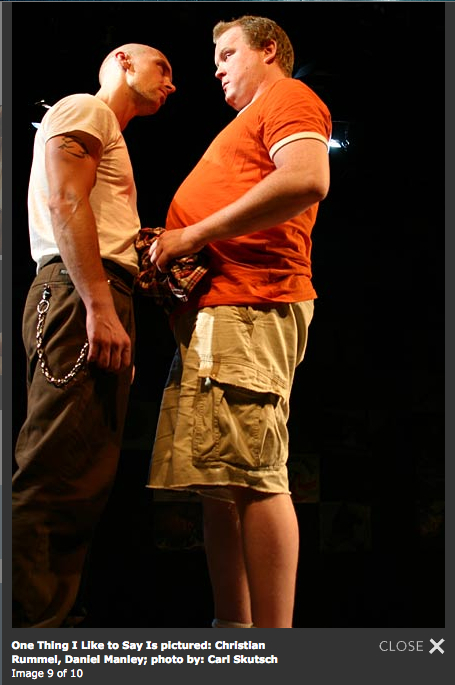 But the second half of the play dissolves as Mr. Becker seeks to navigate less-charted waters in the relationship between the two leads, set against a background of prison abuse (including a mentally impaired African-American prisoner, described as a gentle giant). The events unfold neatly, but the development of the central relationship, in particular, isn't entirely emotionally credible: a play that wants to be about daydreams and wish fulfillment becomes little more than their embodiment. Still, Jules Ochoa's production does well by its material, and the acting is respectable, with a particularly strong performance from Christian Rummel as the Criminal.